First United Methodists enjoy growing vegetables and flowers in our community garden. We serve up nutrition to those who eat at the Lantern House homeless shelter. Plus, we provide healthy food and outdoor activity for our congregation. We've got some busy bees and some busy beekeepers too. This November 2014 photo shows some of our church members with United Methodist agricultural missionary Mozart Adevu from Ghana. Mozart teaches African people about the benefits of bees for growing their crops. He and we had a great time swapping stories! 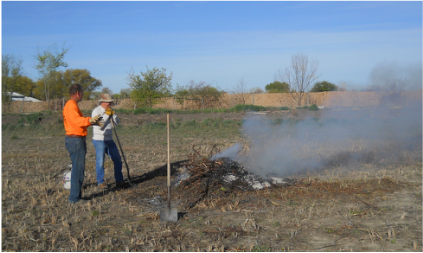 This photo shows part of our crew burning the weeds in the irrigation ditch and other yard debris to get ready for spring planting and watering of our First UMC community garden. We're going to need lots of dirt diggers, seed planters, weed pullers, irrigation waterers, and veggie pickers this season. Kristen & Steve Bell are our leaders for this ministry. Every yard needs sprucing up. Spring and fall clean-up (and the months in between) get us out working in our big church yard. 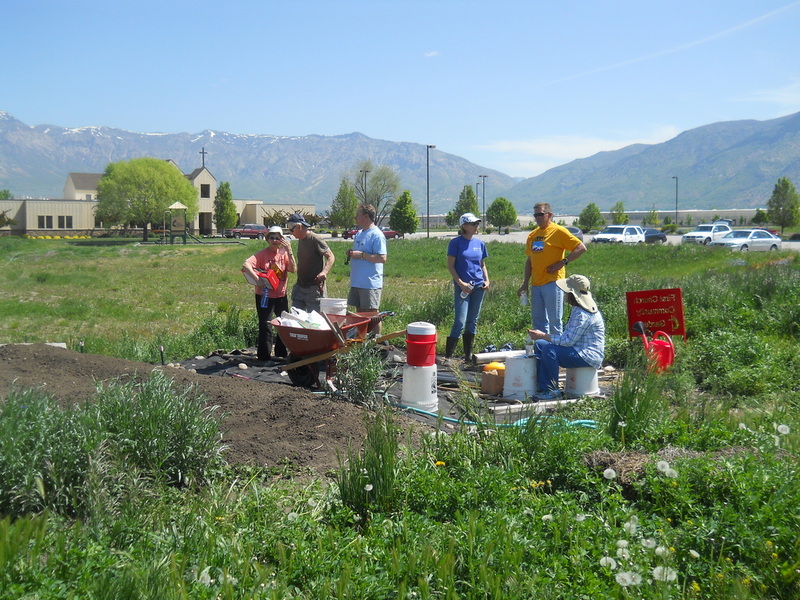 First UMC owns 10.5 acres, half of which grows alfalfa. Our bees enjoy the alfalfa blossoms.